What would heroes be without villains? They'd be boring because they wouldn't have any challenges to face! But villains are more than just cookie-cutter enemies meant to oppose the hero. They're interesting characters in their own right, with stories and motivations of their own. That's why we focus on them with our Disney Villain Spotlight! 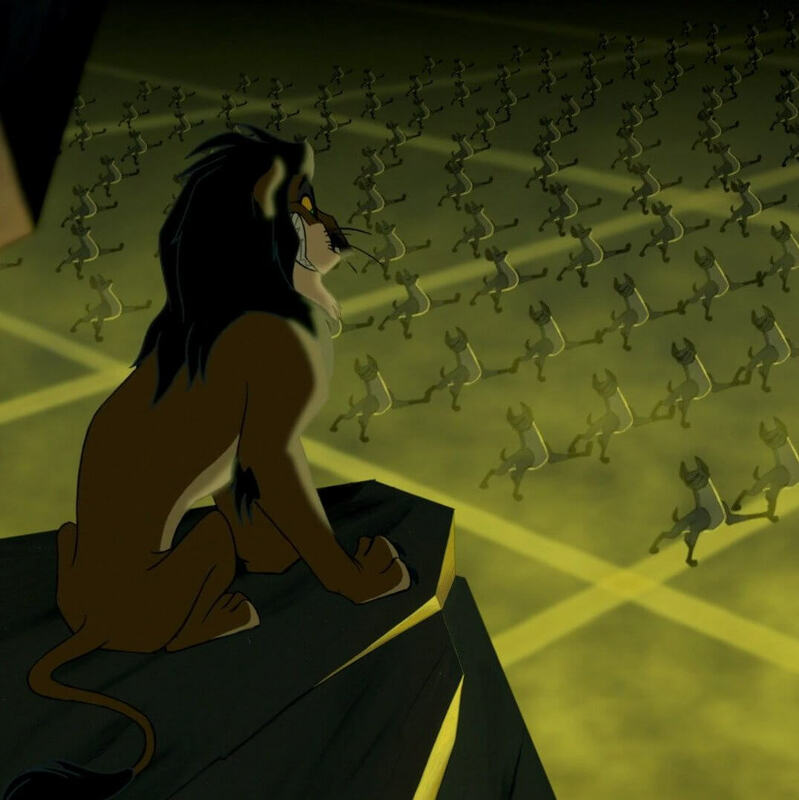 This time, we're discussing an evil schemer who would do anything to be King, and his army of slavering hyena minions: Scar, from The Lion King. Scar is deeply jealous of his older brother Mufasa, King of the Pride Lands, and when Mufasa's son Simba is born, Scar plots to get rid of them both so he can take the throne. Scar used to be known as Taka when he and his brother were younger. He received a scar over his eye when one of his plans to get Mufasa killed went wrong, and took the name Scar so he would never forget his failure. Since that time, his plans have only gotten more deceptive, and he still wants to see Mufasa dead — and once Simba is born, Scar plans to eliminate him too, of course. Scar is considered one of the best Disney villains of all time. For one, he's much more sinister than most of Disney's previous villains because he has fewer comedic moments. His heatless betrayals of his own brother and nephew make him a lot more frightening than villains whose goals are less personal. He was also the first Disney villain to successfully kill someone onscreen. Scar is smaller than his brother and not a good fighter, so he relies on trickery and deceit to put his plans into action, with hyenas serving as his "muscle." While Scar has an army of hyenas at his disposal, we only meet the three leaders Shenzi, Banzai, and Ed. The hyenas only care about food, and they want Scar to take power so they can move into the rich Pride Lands and have all the meat they can eat. None of the hyenas are very intelligent, but they're all pretty good at following orders. Without Scar to motivate them, the hyenas are generally unorganized and not very effective. Even though they can be frightening villains in their own right, they spend a lot of time clowning around and making jokes. They're also slow to understand Scar's plans, but once they have a direction they make a great team of henchmen. However, their failure to catch young Simba as he flees the Pride Lands comes back to bite them in a big way! Movie critics have also said he's a very well-rounded and complete character, which always makes a difference for heroes and villains alike. Much of Scar's appeal also comes from his design and animation, which was partially based on his voice actor, Jeremy Irons. Irons is a master at portraying large-scale dramatic characters that would be equally at home in a performance of Shakespeare, so Scar's lead animator Andreas Deja captured as much of that power as possible. Scar resembles Jeremy Irons in his appearance and movements, and the way he speaks his lines was determined completely by Irons' performance. So there you have it: Scar is so compelling because he's directly based on an Academy Award-winning actor with classical theatre training! If you can't get enough of Scar and his hyenas, we have some great merchandise here at Your WDW Store. Check out our collection of Disney park-exclusive souvenirs featuring Scar on pins, pressed pennies, guitar straps, and even more! We also have the hyenas Shenzi, Banzai, and Ed. Make sure you check out this awesome Scar and Hyenas art print by famed Disney artist Darren Wilson! We want to make sure you know about the CGI Lion King remake coming up in 2019 so (as Scar would say) you can "Be Prepared" for some exciting new souvenirs and collectibles at all the Disney theme parks. 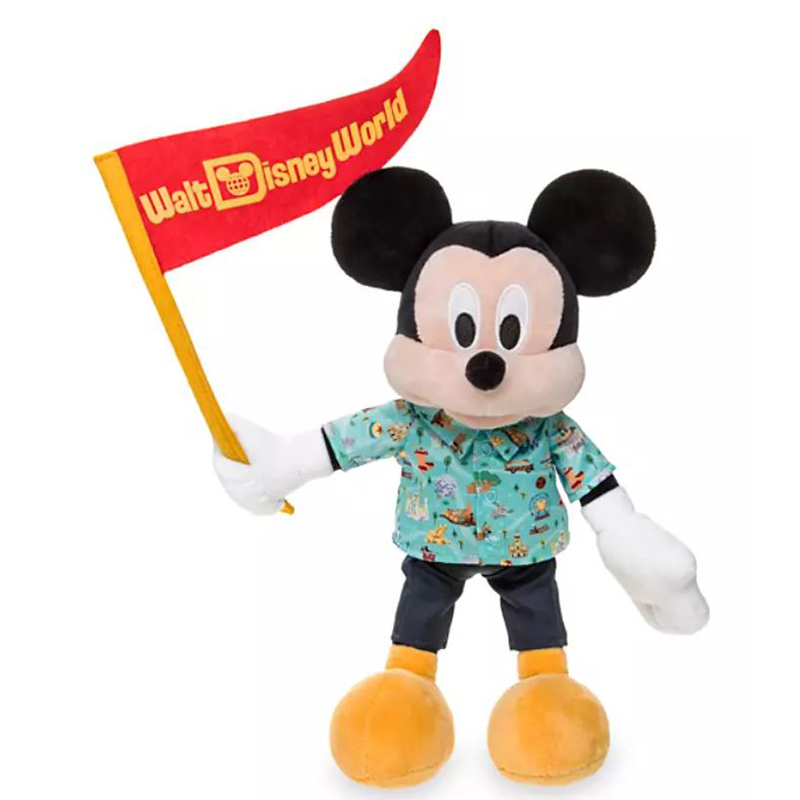 We'll definitely have them here at Your WDW Store as well, so stay tuned and keep an eye on our new arrivals!